Some time in the middle of last night, our Freedom of Information site WhatDoTheyKnow.com was used to send its 100,000th FOI request. It was a simple one, made to the Queen Victoria Hospital NHS Foundation Trust. WhatDoTheyKnow was launched in February 2008, with these aims: to make it easy to file a FOI request, and to keep a public archive of the requests and (more importantly) the responses received from public bodies. The Freedom of Information Act had been in force since 2005, but we wanted to make it fully accessible to people who were not journalists, lobbyists or professional operatives – it is a law that gives us all a right, not just those experts. At base, mySociety is about giving people power to people who don’t believe that they have any way of affecting the world around them. Giving practical access to the right enshrined in this Act was and is a meaningful way of advancing that goal. Then, thanks to a flash of inspiration from our late colleague Chris, we saw a great opportunity to increase the value created by the existence of the Act: we built a system that published the entire exchange of messages between users and public bodies online. We believe that because of this decision to publish all exchanges with public bodies, WhatDoTheyKnow represents a very unusual phenomenon: a third-party web site that takes an existing piece of legislation and makes it better value for money for the taxpayer. Public money was already being spent answering FOI, but by running WhatDoTheyKnow we could magnify the value generated by each request by making it public, without requiring anyone who worked in a public sector to retrain, buy a new computer system or spend any new money. And this theory turned out to be right. For every request made on the site, around twenty people come to read materials contained on WhatDoTheyKnow. The multiplier is remarkable, and one of the things that we think is most worth celebrating about this site. WhatDoTheyKnow’s success is only possible because of a team of fantastically dedicated volunteers. These loyal enthusiasts have helped countless users, and do a simply amazing amount of maintenance work to keep the site friendly, helpful and effective. They are astonishingly talented, principled and knowledgeable, and mySociety owes them a debt of gratitude it will never really be able to pay back. However, to give them a bit of the credit they deserve, and to highlight some of the countless uses of WhatDoTheyknow, we asked them to pick out some notable requests from the last four years. WhatDoTheyKnow is one of mySociety’s most visited sites, with one and a half million unique visitors in 2011. Like our other projects, it was built as an open source project. Thanks to the Open Society Foundation, we are in the process of making it much easier to re-deploy around the world, under the brand name ‘Alaveteli’. As we speak, there are sites based on our code in places as far apart as New Zealand, Kosovo, Brazil, and the EU, and we’re looking forward to helping people from around the world create more grandchild sites in the years ahead. 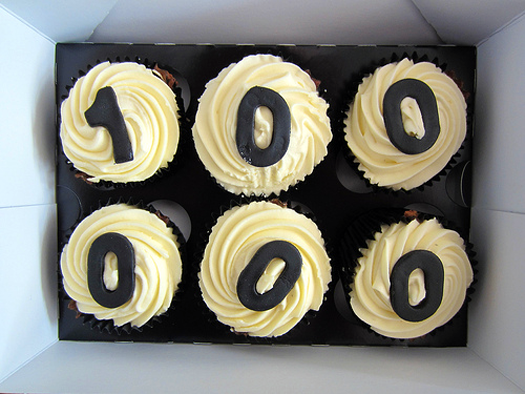 Our 100,000 request milestone comes at an interesting time for the Freedom of Information Act. It’s currently under scrutiny by the Justice Select Committee, who are investigating whether it works effectively and in the way that it was intended. As you might expect, at mySociety, we’re passionate about the right to information. We’ll be submitting evidence to the Justice Select Committee to show just how vital FOI is to good government and a good society. If FOI has touched your life, you might want to do the same. Commercial telemarketing agents appear to now be using the FOI requests to find out when hardware contracts are being renewed and who the contacts are and demanding to know what support contracts are in place, so that they can email and phone the people involved endlessly to sell their alternative product. Someone with a slightly liberal interpretation of this might label the bulk unsolicited contacts as ‘spam’, and the iniators as ‘spammers’. I notice you appear to have taken some action to prevent them acting further. So out of those 100,000 requests you mention I wonder how many are telemarketing sales agents misusing the system? 10%? 20%? Perhaps you have some future plans to combat the ones using your site? To be clear, I’m not against the FOI, just annoying telemarketers. Thanks for your comment. The case you mention has caused some internal debate while we re-examine some of our policies. The user was temporarily suspended while we undertook this discussion. Broadly speaking, we are not against bulk requests – indeed, we think that, as the resulting information comes into the public domain, they can be useful for all. However, we are aware that very frequent and very numerous requests can be inconvenient to other site users, while also placing a burden on the site infrastructure. We’ll make sure we update the blog once we have finalised our decisions on how best we handle these types of request. Interesting that you think about the burden on the site but no thought for the burden on the 1473 organisations who now have to deal with those nakedly commercial and vexatious requests. There’s one response from a parish council’s only staff member who uses mostly her own IT equipment! What a waste of her time. Even if each organisation only spends £100 in staff time on these requests (and larger ones may spend much more) then that is nearly £150k of public money wasted. I am not commenting on the principles of FOI but merely this site, which as far as I can see has the effect of facilitating time wasters and people who seem to suffer paranoid delusions. The request you mention has not, as far as I’ve seen, been considered vexatious by any of the authorities to which it has been sent. It appears to be valid request with a serious purpose so shouldn’t in my view be considered vexatious. As for requests with an apparent commercial motivation, these are permitted by the Freedom of Information Act and the same arguments apply for making them public via our site as other requests – it means the information released becomes more easily accessible and might actually prevent others having to make their own requests for the information. My view on requests for details of public sector computer hardware needs and contracts which would be of interest to those seeking to compete to provide services is that they are requesting information which ought, in an ideal world, already be proactively published. I think there is potential for the public sector to make savings when buying in services if its requirements are more widely known. There may well overall be cost savings to be made by making this kind of information public. On occasion we do see people making requests to inappropriate bodies via our site. I don’t think these generally take significant resources to deal with. Often a requestor can be given a response, or pointed in the right direction with a short email. Our site does contain some odd requests, but at least these are being made in public, and we may well be preventing some of these being made to organisations by large numbers of organisations. We are just an intermediary, we can’t really be held responsible for the behaviour of our users, either in terms of what they request or what is done with the information released. Regarding the 1473 identical requests placed by John Wicker, you say The user was temporarily suspended. Is this still the case and if so, are the 1400+ requesters still supposed to waste valuable resources providing a reply? We have asked the user to stop making his requests while we revisit our policies on bulk requests. As an interim measure we’ve restricted users to making 10 requests per day unless they approach us first. Before removing the cap for a user we will check that the requests they are proposing to make are well-targeted. The requests already made remain valid (just as they would be if made outside the site). In the past I have asked Suffolk County Council for 3 peices of information,concerning my self and 2 of my children,to avoid giving me this,I have been told we dont know what you are asking for,then a school record which I asked for has vanished,then they just ignored me,I dont have the finance to take legal measures,so they just break the law with impunity. Now I am waiting for information from the Dept of work and pensions,and I expect to be thwarted in the same manner.I feel this is a right denied to working class people. They make laws then break them.